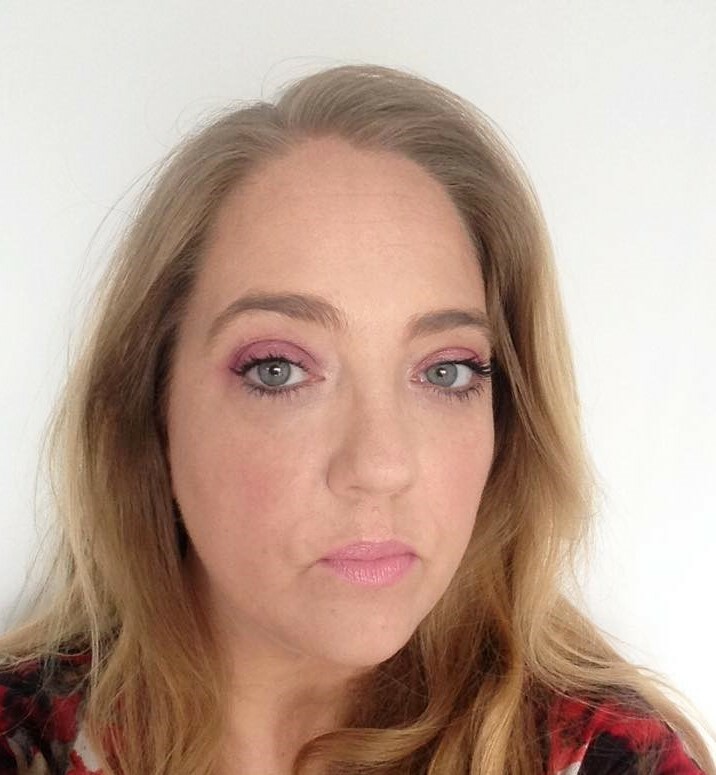 Hopefully you have seen my previous two posts on It Cosmetics ( Which stands for Innovative Technology) and will be clued up on the brand Launching on Friday 15th April with a few core products and the promise of more to come. Created for all skin types and ages and with a vast range of colour shades, their really is something for everyone. Bye Bye Under Eye – This absolute Cult product has really taken America by storm and its easy to see why! 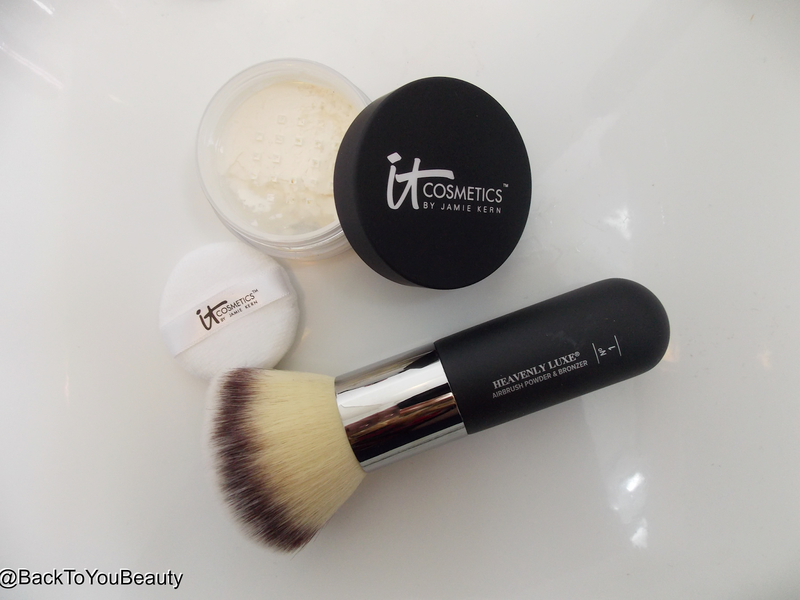 This is It Cosmetics award winning Concealer and I am sure you will soon be as hooked on it as I am. Containing Collagen, Vitamin C and K not only will this product conceal any dark areas, or age spots, pigmentation and blemishes , it will also hydrate the skin and brighten as it does so. The amazing thing about Bye Bye Under Eye is that as it sets it does not wrinkle, crack or crease into dry areas of the skin. My Top tip would also be to make sure your skin, including your under eye area is always well moisturised and primed. Any make up on a very dry/dehydrated skin has to work so much harder so before you apply your base, always make sure your skin is prepped and primed. You really need a tiny amount of this product as it is highly pigmented and a little goes a long way. Give the tube a shake first as sometimes you will see the liquid ingredients come out first, so I give it a gentle roll between my hands, then a shake, then squeeze a little onto the back of my hand. This really is one of the creamiest, most easy to apply concealers that I have ever used. It glides on like a dream and blends beautifully. I apply mine in a v under my eye, taking the concealer a little further down onto my face. It can also be used to cover blemishes and age spots and feels like air on the skin. Lasts all day on my dehydrated skin and gives a beautifully bright dewy look. It is also waterproof so shouldn’t budge if you are shedding happy tears! If you prefer to set it with a powder, then feel free to do so as this works really well with the Bye Bye Pores finishing powder. You can also use this as an all over foundation! Bye Bye Under Eye comes with a gorgeous double ended brush that gives you the exact precision tip one end to apply perfectly up to and under your lash line, then your lovely fluffy end to buff it out. Bye Bye Pores Loose Powder – This superfine, weightless finishing powder is infused with so many great for you ingredients that its crazy to think how they fit them all in! Infused with Hydro-Collagen, Silk, Vitamins K, A, C and E it looks after your skin whilst minimising pores, fine lines and taking away any oiliness. Best used with a big fluffy brush in my opinion rather than the enclosed pad, as you need very little. I don’t get on very well with finishing powders as I have very dehydrated skin but this does a great job at mattifying a foundation that may be too dewy. This really would be great for anyone that suffers with an oily T-Zone. Hello Lashes 5-in-1 Mascara – This Jet black mascara is perfect for those of us that do not have the time for lash curlers and want to be out of the door looking fabulous fast. 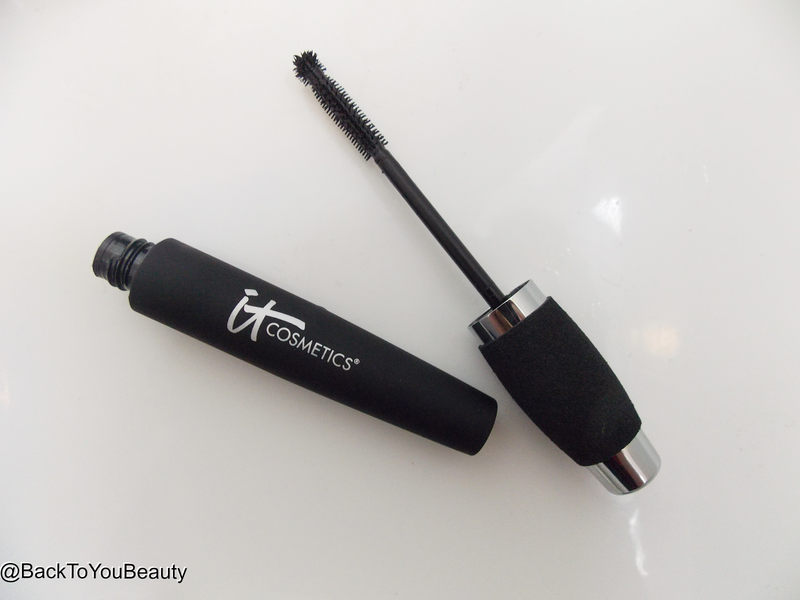 Its a great mascara for volumising your lashes and does not dry them out at all. The 5-in-1 Treatment mascara takes the place of volumising mascara, lash primer, eyelash enhancer, lash tint and lash curler. Easy to use, start at the base of the lashes and wiggle through them all then turn the wand vertical so that the special rollerball on the end can really grip each and every lash and give them a full coat. This lasts all day on me with no flaking or drying and looks gorgeous. Hello Light Illuminating Highlighter – Wow, wow and wow I LOVE this product!! This is the most beautiful highlighter. 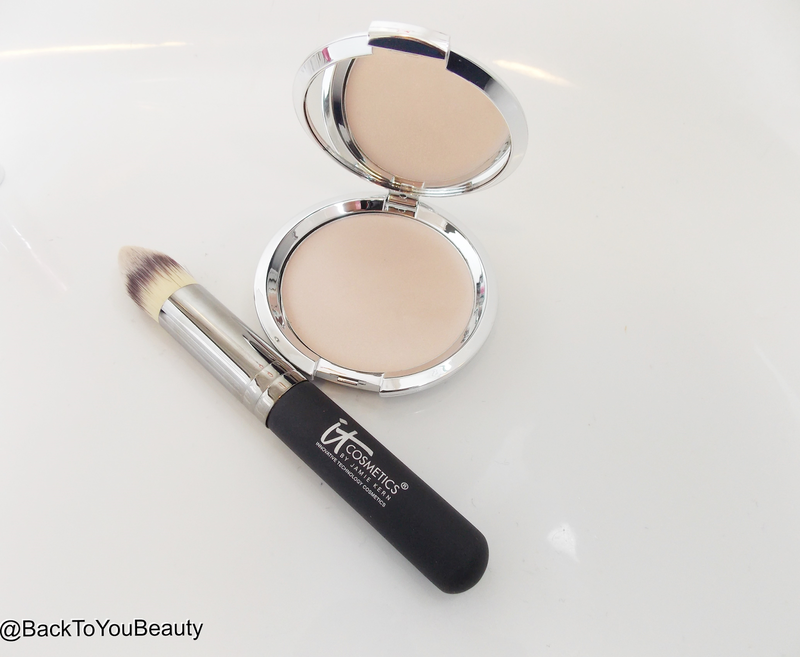 It feels like a cross between a cream and a powder and transfers to the skin with ease. It has the lightest sheen, that just seems to lift and illuminate the skin perfectly. Thanks to the Hyaluronic Acid It does not feel dry on the skin at all and you do not know you are wearing it. It comes with the perfect brush which has a tapered end and fits under the eyebrow to add highlight there, above your cupids bow and across the top of your cheek bones. 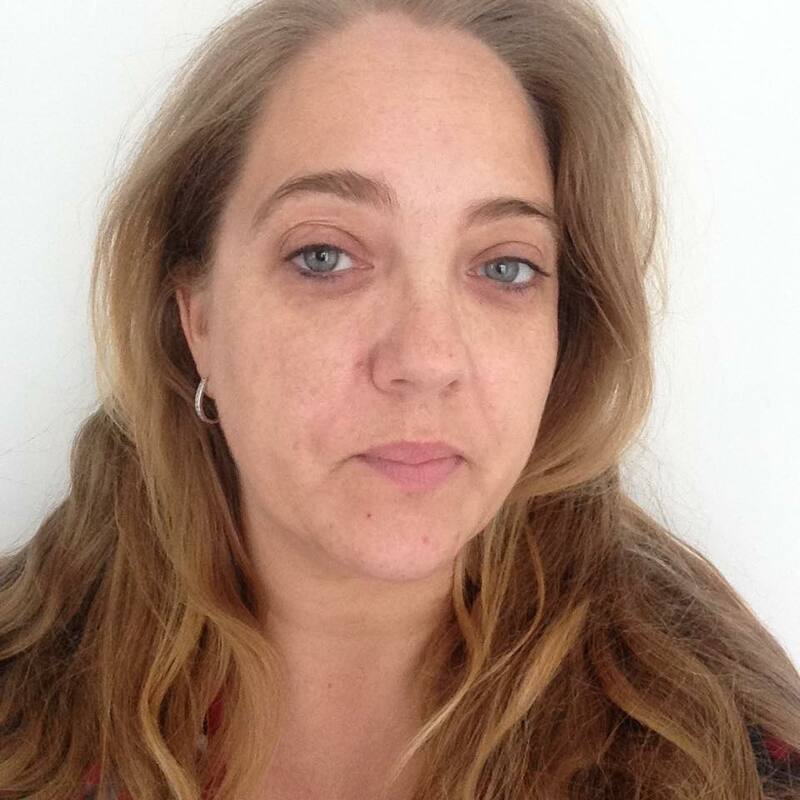 This product has blown me away with how it looks on my 41 year old skin!! I love it. 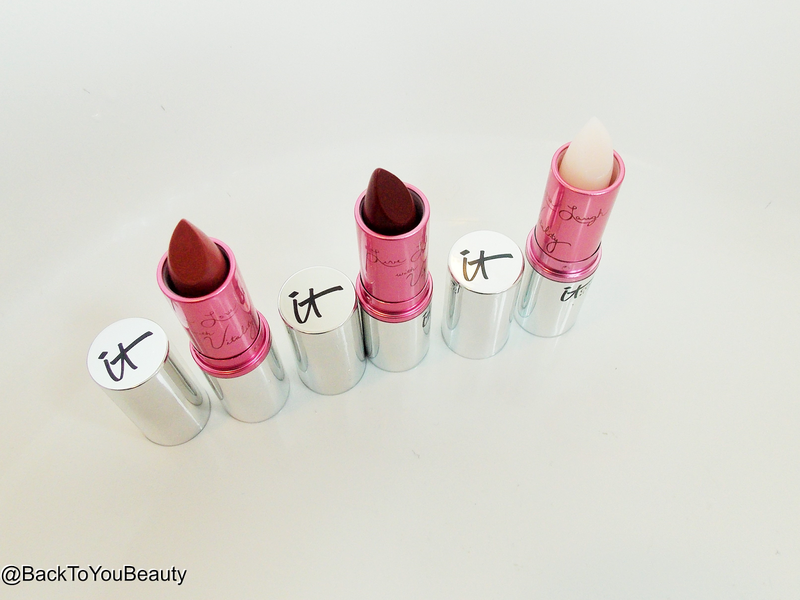 Vitality Flush Lipstick Trio – These lipsticks are incredibly hydrating and feel just like a balm on the lip. They come in 3 shades, Pretty Woman which is a cross between a plum and coffee shade, Love Story which is a milk chocolate colour and Je Ne Sais Quoi. This is the one I want to talk about! Je Ne Sais Quoi looks like a clear balm in the tube but as soon as you apply it to your lips it actually changes to your lip colour, but a better, more glossy, hydrated version. Really clever lip stain that will look slightly different on everyone! Just remember not to plaster it all over your face hahaha. These do set as a lip stain but didn’t last all day on me, however if you have dry lips these are really lovely. 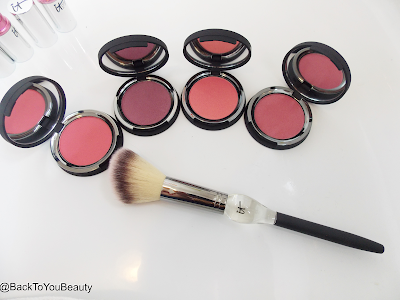 Vitality Blush Stain – If you want a real pop of colour then these have to be your go to blush shades. I don’t think I have ever seen a blush in powder form that is this pigmented. You need the tiniest amount, and I really mean that! Do not swirl your blush brush (Which is included) in these stains, just gently tap it and apply to the apples of your cheeks and blend outwards. These come in a choice of colours including Magical in Mauve, Matte Sweet Apple, Radiant in Rose, Pretty in Peony. These colours will absolutely suit every skin colour, because you can easily add more if needed. Comes with a fluffy brush that will allow you to add the perfect amount and blend as necessary. They also make amazing eye shadows as you can see in my photo below! After Bye Bye Under Eye fixed the dark circles! "It Cosmetics UK Launch is here! Part 2 – The most anticipated brand Launch this year!" 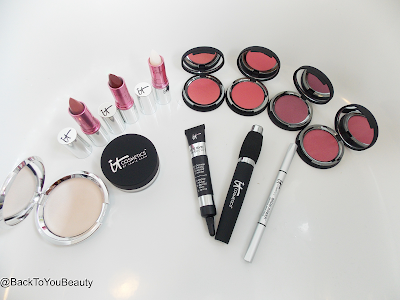 "Jane Iredale mineral make up collection – The perfect Spring look!"